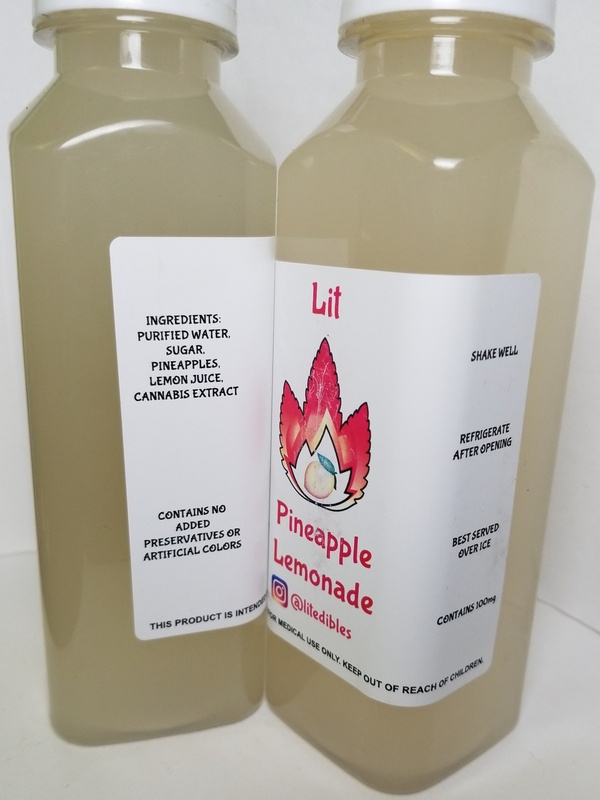 100mg infused LIT Pineapple Lemonade! Very delicious! Chill, Shake Well, and then serve over ice!